Christian by Kenneth L. Gentry, JR.
eBook file(s) submitted by Kenneth L. Gentry, JR. Unfortunately, most of the interest in Revelation is based on a radical misunderstanding of the very nature and purpose of the book. And much of this misapprehension is traceable to confusion regarding its original date of writing. In this work – the full text of Gentry’s doctoral dissertation from Whitefield Theological Seminary – the important question of Revelation’s date of composition is engaged. Characteristic of the work is a careful exegesis of critical passages, a diligent survey of the scholarly literature on Revelation, and a meticulous search through the writing of early church fathers and Jewish and Roman historians. 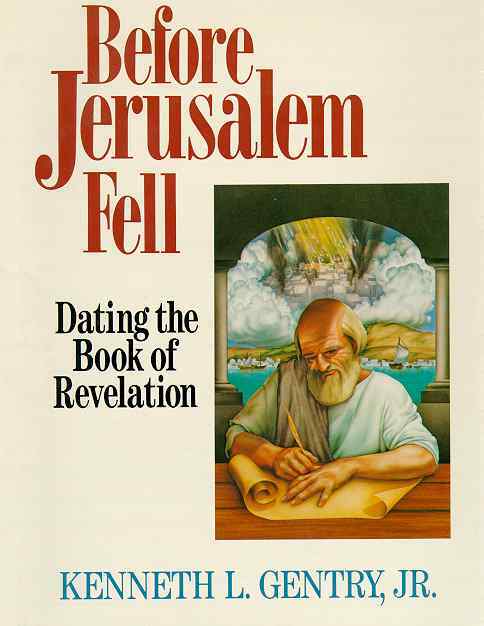 The evidence may be garnered from Revelation’s self-witness and from church tradition that John wrote Revelation prior to the destruction of Jerusalem, which occurred in August, A.D. 70, rather than in A.D. 95-96, as many scholars believe. Gentry convincingly argues for a date around A.D. 65 or 66, after the outbreak of the Neronic persecution and before the death of Nero Caesar. The demonstration of Revelation’s date in this work sets before the reader, not only a resolution to this technical question, but also provides much exposition of Revelation’s text itself. These provide the reader with a clearer understanding of the meaning of Revelation.